We take another look at the competitive world of coupons, vouchers and consumer incentives. They show no signs of dropping in popularity and here’s the latest news and trends with digital coupons and vouchers. In its 2016 State of the Mobile Coupon Industry report, Koupon Media reports mobile coupon usage grew 18% in 2015. The report also noted 65% of digital coupons are redeemed within the first five minutes of receipt. Kantar Media reported value of free-standing insert (FSI) coupons increased 3.7% in 2015 to $515 billion. Forrester Research/Linkable Networks research shows 34% of Millennials prefer to use digital coupons on a smartphone app. The same study showed 30% consume meals and snacks the same day of purchase. CIOL noted 59% of consumers stated that digital coupons and coupons codes influenced their buying decisions. Linkable Networks said 89% of consumers used coupons for at least one purchase in the past three months. With coupons for more than 500 retail partners, LafaLafa raised new venture capital from Hong Kong-based Vectr Ventures. Kate Atty, Director of Marketing, Persio said unique barcode coupons are growing in popularity as a way for retailers to track consumer path of purchase. 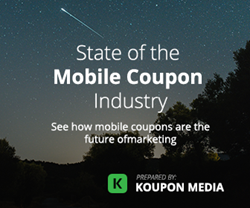 Today leading mobile coupon platform Koupon Media released its 2016 State of the Mobile Coupon Industry report. Some major retailers sharply reduced their use of printed free-standing inserts (FSIs) last year but the total dollar value of FSIs still grew to a record $515 billion. The value of free-standing insert (FSI) coupons increased 3.7% in 2015 to $515 billion, according to Kantar Media. However, the number of FSI pages distributed fell 8.1% as marketers cut back on pages that didn’t include a coupon. The number of coupons circulated increased nominally versus the prior year, and combined with higher face value led to growth in dollars circulated. In the age of connectivity, consumers thrive on instant gratification, and especially Millennial consumers. They are a very spontaneous generation and tend not to plan their shopping trips, and many purchases are made ad hoc. Retailers that focus on traditional methods like a store circular and consumers clipping or printing coupons to drive consumer engagement need to be on the lookout for new promotional methods that appeal to this spontaneous generation. As we have all seen, Millennials fall into a variety of life styles; some are in college, some are married with kids, and some are working singles etc., so we as marketers need to have a multi-focused approach to win with this generation. Like every other generational segment, they need to save money but want it to be easy. 2015 has been a great year for digital coupons industry. There’s a strong human emotion and motivation to capitalize on an opportunity to save. 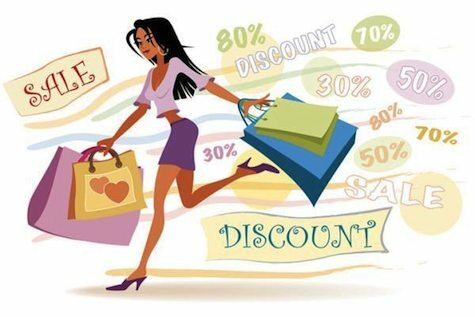 59% stated that digital coupons and coupons codes influenced their buying decisions compared to other means of promotions. A shift between desktop to mobile shopping was noticed due to increasing use of smartphones, tablets and broadband and 3G/4G internet availability. According to Linkable Networks, in a study commissioned to Forrester Consulting to evaluate consumer preferences and pain points regarding in-store consumer packaged goods (CPG) couponing and identify target segments for card-linked offers, the vast majority of consumers use coupons for in-store CPG purchases on a regular basis. 89% of survey respondents had used coupons for at least one purchase in the past three months. While over half of respondents have used traditional paper coupons such as free-standing inserts (FSIs) and direct mail, 37% reported using various types of digital coupons in the past three months, but pain points in both paper and digital couponing, such as forgetting to use coupons, hinder active coupon usage. LafaLafa, a mobile-first digital coupons and cashback aggregator has raised seed fund from Hong Kong-based Vectr Ventures. This is Vectr’s first ever investment in India. The raised capital shall be used to ramp up the startup’s technology back-end and expand within Asia. One trend that is changing how consumers coupon is the unique barcode option. These barcodes are also important for retailers because they allow for the retailer to follow the consumer’s path to purchase, gaining valuable insight into how people come to the checkout stand. Join us tomorrow as we update news and trends in e-commerce in the Africa and Middle East markets. Don’t forget to subscribe to receive Cashback Industry News in your inbox Monday to Friday – no spam, just highlights and news you can use. 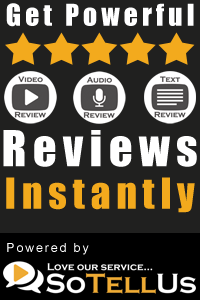 Cashback News – Jan 27: Will retail rebound in 2016?